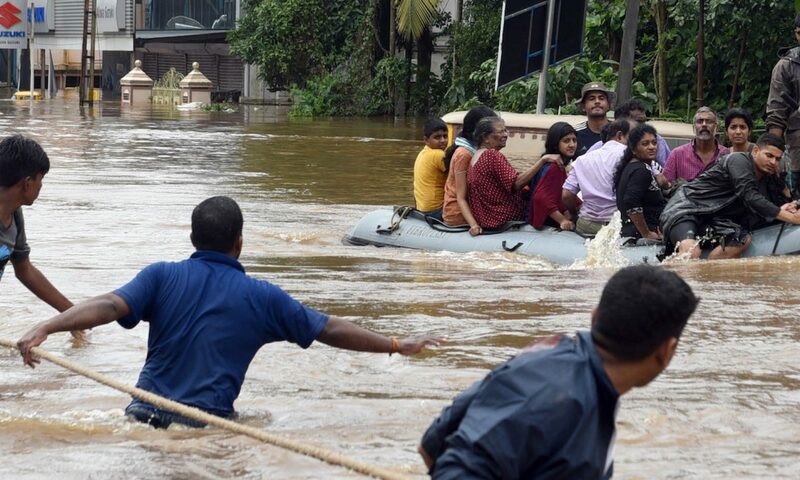 NEW DELHI – India’s southern state of Kerala has been hit by the worst floods in nearly a century. Now that the floodwaters are receding, a peculiar debate has emerged over whether India should accept foreign aid to support reconstruction. At the peak of the floods, the Indian government allocated money from the National Disaster Response Fund for immediate relief. But it was the public that really stepped up, with an outpouring of contributions to the Kerala government’s disaster relief fund that amounted to more than twice the funds so far provided by the national authorities. In fact, the total additional assistance the government has provided – $90 million (with promises of an unspecified additional amount) – amounts to less than half of what the state government was requesting for immediate relief. It does not even begin to cover long-term reconstruction costs, estimated at over 50 times that figure. 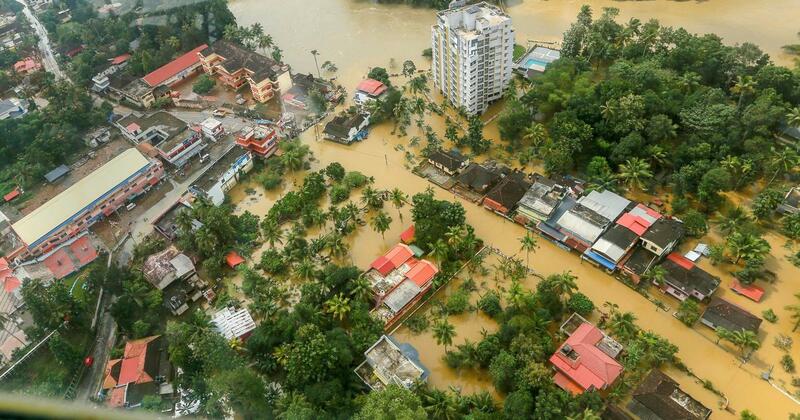 The floods, which displaced a million people, left Kerala with 39 collapsed bridges, some 6,000 miles of ruined roads, significant agricultural losses, and more than 50,000 homes either damaged or destroyed. Rebuilding all that infrastructure, which took decades to construct the first time around, will be a herculean task. Despite all of this, India’s government, led by Prime Minister Narendra Modi and his Bharatiya Janata Party (BJP), have refused to accept outside help. That stance first became apparent as the crisis was unfolding, when the United Arab Emirates – which is home to some two million Keralites – reportedly offered assistance totaling $100 million. Modi thanked the UAE’s leader, Sheikh Mohammed bin Rashid Al Maktoum, on Twitter. Then his government – via BJP spokesmen, rather than government officials – let the media know that it would not be taking the UAE grant. On August 21, Thailand’s ambassador to India tweeted: “Informally informed with regret that [the] Government of India is not accepting overseas donations for Kerala flood relief.” Offers from Qatar and the Maldives of $5 million and $50,000, respectively, are thus also likely to be rejected. Indian missions abroad have been instructed to turn down offers of assistance. BJP leaders insisted that this stance is based on the 2004 decision of then-Prime Minister Manmohan Singh’s United Progressive Alliance government not to accept foreign aid following the Indian Ocean tsunami. But the tsunami had done far less damage than the Kerala floods have, and national resources could fully cover the estimated costs of rebuilding. Moreover, any precedent established by that 2004 decision was superseded by the National Disaster Management Plan, issued by Modi’s own government in 2016. Paragraph 9.2 of the plan states that the government does not issue any appeal for foreign assistance in the wake of a disaster, but can accept such assistance, if another national government offers it voluntarily, “as a goodwill gesture in solidarity with the disaster victims.” This means that it would have been entirely permissible for the government to accept the UAE’s help. So why did the BJP reject the offer? After announcing the decision to reject the UAE’s offer, the party’s spokesmen lost no time in invoking national pride: India, now a net donor of aid to poor countries, could take care of its own. If Modi’s government believes that it has adequate funds to meet Kerala’s needs, it owes the state’s people an explanation to as to why such a small amount has been allocated. But there is little reason to expect any such thing of the cash-strapped Modi government. When Cyclone Ockhi struck coastal areas of Kerala last December, the central government provided just 2% of the aid the state government requested. The rejection of foreign assistance is not even a fundamental BJP policy. After the 2001 Bhuj Earthquake in Gujarat – where Modi himself was Chief Minister – the BJP-led central government accepted international assistance. The total funds raised by United Nations bodies – such as the UN Development Programme, the World Health Organization, UNICEF, the International Labour Organization, and the Office for the Coordination of Humanitarian Affairs – exceeded $42 million. A total of $1.7 billion was then pledged at a reconstruction conference, and Bhuj was rebuilt. One could ask whether aid from international organizations should be regarded as “foreign” by a UN member in good standing. But even aid from other countries is an entirely normal feature of international relations, especially when major disasters strike and an “all for one, one for all” spirit takes hold. India has voluntarily provided help when its neighbors have been similarly afflicted, such as after earthquakes in Nepal, Pakistan, and Iran, and floods in Bangladesh and Myanmar. Even the United States accepted foreign aid after Hurricane Katrina struck New Orleans and the Gulf Coast in August 2005, with India providing $5 million. Why shouldn’t others similarly extend a helping hand to Indians in distress? India is a proud country that prefers to rely on its own resources. But when our resources are nowhere near sufficient to meet the needs of our people – who are suffering in the wake of a devastating disaster – it is both churlish and irresponsible to reject aid from those who can and want to provide it. No policy of national pride can justify callousness towards our own distressed citizens. By all means, do not go abroad with a begging bowl. But when your friendly neighbor knocks on your door and offers you the cup of sugar you need to finish a recipe, you don’t turn him away. There is no shame in accepting aid from friends whom we would help if the tables were turned. For the sake of the people of Kerala, the BJP government must recognize this and revise its disaster-aid policy.